United Parcel Service Inc. (UPS) is suing the European Commission before the General Court of the European Union for €1.7 billion in compensation for damage it claims to have suffered when the Commission wrongly vetoed its attempted takeover of parcel delivery rival, TNT Express NV (TNT). The above follows the General Court’s decision to uphold the appeal by UPS in March 2017 and agreeing that the Commission had been wrong in blocking the deal. On 30 January 2013, the Commission announced that it had decided under Article 8(3) of the EU Merger Regulation to prohibit the proposed acquisition of TNT Express by UPS. The Commission found that the acquisition would have reduced competition for intra-EEA express small package delivery services in fifteen Member States, where, in some cases, DHL would remain the only viable competitor. It concluded that the merger would reduce choice for customers and would be likely to result in price increases. The Commission did not accept that efficiency benefits resulting from the merger would outweigh the adverse impact on competition. It also rejected a package of remedies offered by UPS. UPS lodged an action with the General Court seeking the annulment of the Commission's decision. On 7 March 2017, the General Court upheld the UPS action and annulled the Commission's decision. The General Court found that the econometric analysis used by the Commission in its decision was based on an econometric model different from that which had been the subject of an exchange of views and arguments during the administrative procedure. The Commission made non-negligible changes to the analyses previously discussed with UPS. 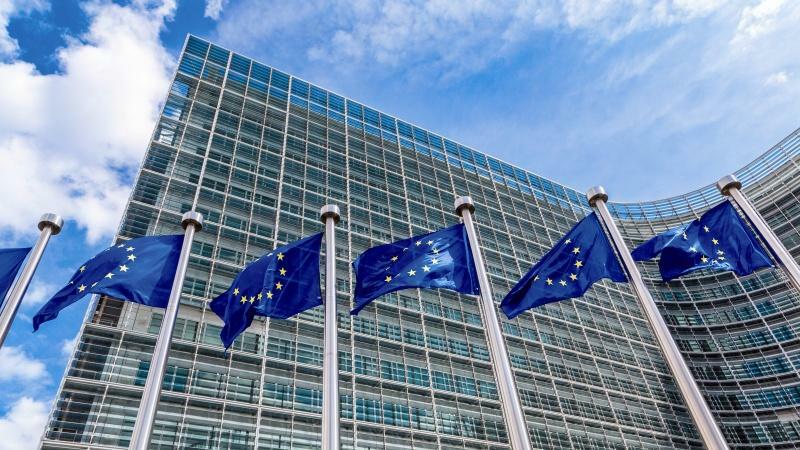 In view of those changes, the Commission was required to communicate the final econometric analysis model to UPS before adopting the contested decision. By failing to do so, the Commission infringed the rights of defence of UPS. The General Court concluded that, during the administrative procedure, UPS might have been better able to defend itself if it had at its disposal, before the adoption of the contested decision, the final version of the econometric model chosen by the Commission. Therefore, the General Court annulled the Commission's decision in its entirety. UPS, in bringing an action for damages before the General Court, states that it should be put in the position it would have been in, had the unlawful decision not been adopted, through compensation for the loss suffered as a consequence of the Commission's decision prohibiting the UPS / TNT Express merger. In this regard, UPS is asking the General Court to award it damages of €1.742 billion plus the interest and taxes it would pay on any windfall payment. UPS claims that that the Commission's decision is tainted with serious breaches of rules of law that are intended to confer rights on UPS. Each breach individually underpinned the decision and prevented UPS from acquiring TNT, and from materialising the benefits associated with that proposed transaction. UPS claims that the following breaches are a serious contravention of the law: those concerning the price concentration analysis, the efficiencies analysis, the assessment of FedEx’s competitiveness and the assessment of the closeness of competition made in the Commission decision. UPS submits that each of these breaches, whether considered individually or together, rendered the decision invalid and led to the order for annulment. In addition, these breaches in turn caused UPS's loss because had they not taken place, UPS would have acquired TNT. Without any one of the erroneous price concentration analyses, the efficiencies analysis, the assessment of FedEx’s competitiveness and the closeness of competition assessment, no ordinarily prudent and diligent administration would have prohibited the proposed transaction. The Commission has appealed against that General Court ruling before the Court of Justice of the European Union. Marco Hickey is Partner and Head of the EU, Competition and Regulated Markets team at LK Shields Solicitors. Marco is the author of Merger Control in Ireland published by Thomson Reuters, which is the first book exclusively devoted to merger control in Ireland.